Just choose the frequency that fits your needs, the day of your cleaning and time. At Attention to Detail we tailor our services to your cleaning needs and budget. At attention to detail you are in charge, if you only need us to clean only the bathrooms, kitchen and floors we will customized the cleaning for you. Your request and needs are follow through. A consistent cleaning every time!!! All our maids are professionally trained. Each morning we review our customer’s instructions to ensure a quality and consistent cleaning. All maids carry a folder with special cleaning instructions & a cleaning checklist of your home. Most of our employees have been working an average of 2 to 8 years; this guarantees a consistent cleaning and a familiar face each time we clean your home. Will never need a spring cleaning again. 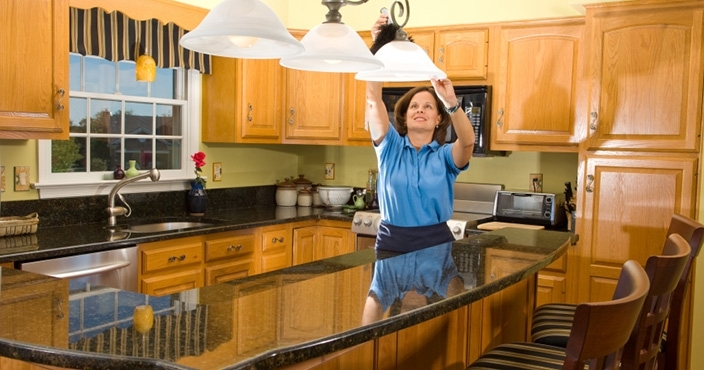 We started by cleaning one house 12 years ago, and Attention to Detail has grown thanks to our customers’ referrals. Each happy customer that refers a friend for our scheduled cleaning visits receives a free cleaning! Is our way of saying thank you for keeping us in business.